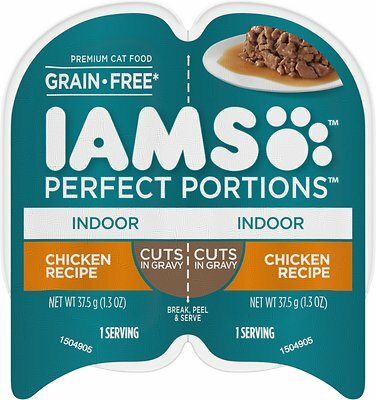 Serving the perfect amount of wet food just got a whole lot easier thanks to Iams Perfect Portions cat food trays. Specially formulated for indoor cats, this delicious, pate-style food comes packed in convenient, easy-to-open tubs that eliminate the mess of leftovers in your refrigerator. 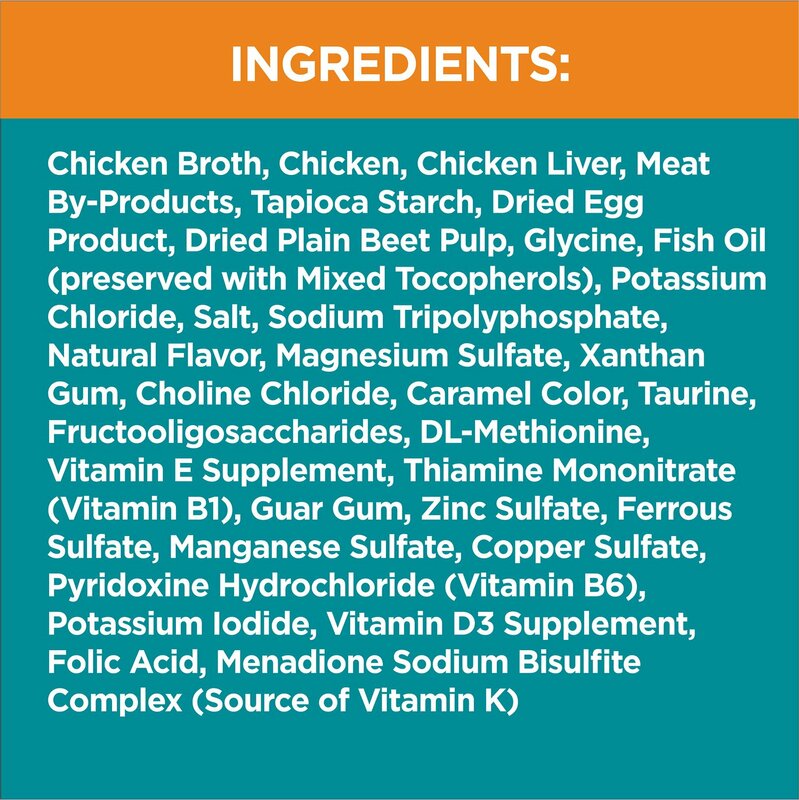 You'll serve your kitty a meal that puts protein first, with real chicken being among the top ingredients. 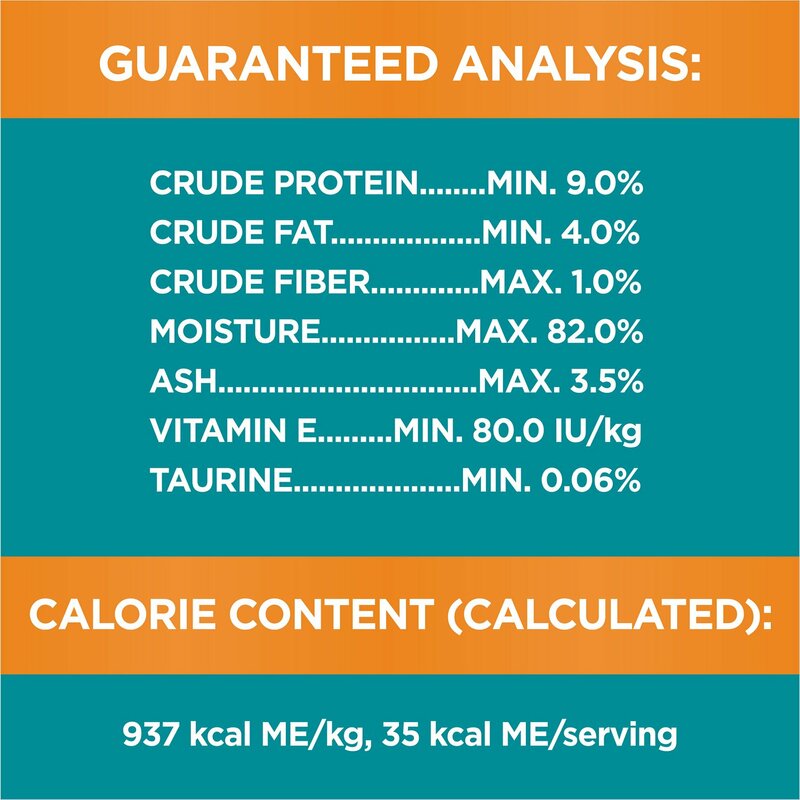 Each bite is enriched with vitamin E to support her healthy immune system, as well as added dietary fiber and prebiotic power for healthy digestion. With no grains or artificial preservatives, these purr-fect plates are even ideal for sensitive kitties. Formulated to provide complete and balanced nutrition, trays can be served as a complete meal or an enticing topper over dry kibble. 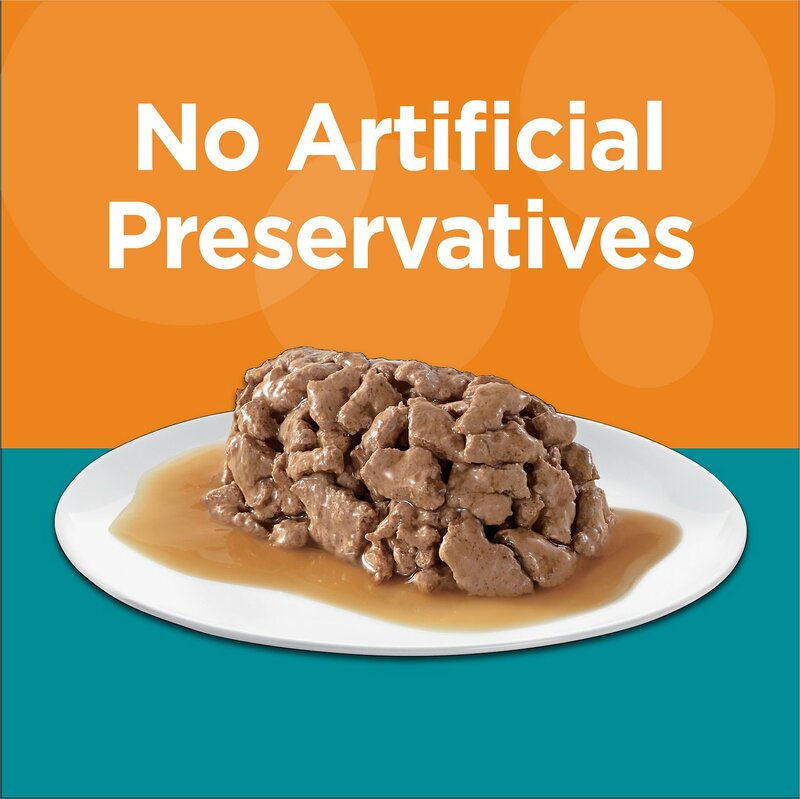 Delicious pate is packed in convenient, easy-to-open tubs that prevent leftovers. Real chicken delivers a meaty taste she’s sure to love, plus the protein she needs to thrive. Crafted without grains or artificial flavors, so even sensitive kitties can enjoy. Enriched with vitamin E to support her healthy immune system, plus prebiotics to aid digestion. Can be served as a complete meal or a tempting topper over dry kibble. Cat loves it, great size! The 2.6-oz size is perfect! I have a 7.5 lb cat and she never finished a 3-oz can, or went back to it, so always some waste. Many, many reviews state their cat is picky but she is beyond extremely picky...only eats chicken, must have gravy, and morsels cannot be too chunky. Was afraid the morsels were slightly larger than she'd like but she ate it right up. She's been happily eating this for over a month. 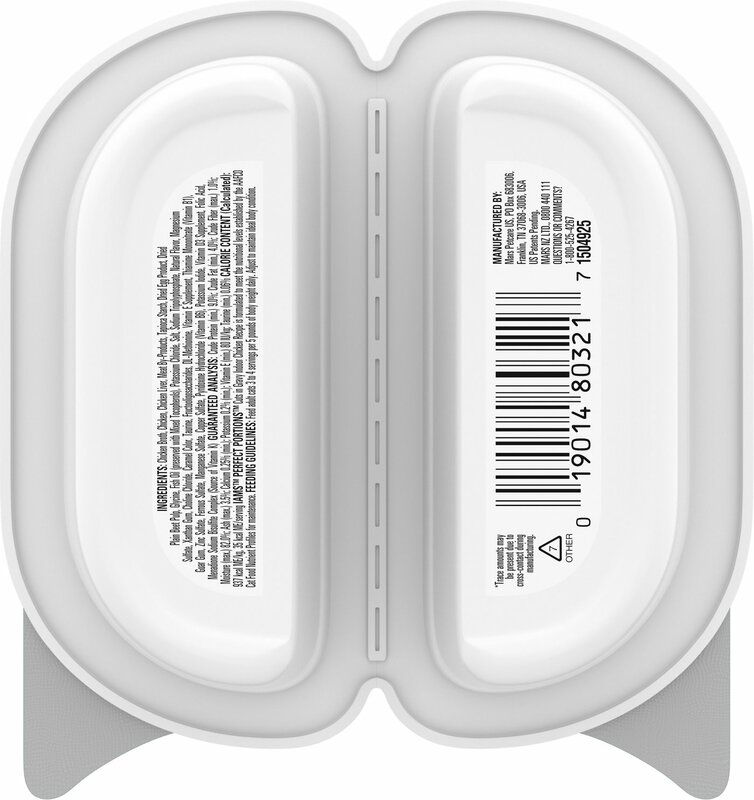 Twin packs easier to use than cans. A 100% hit!